← Is Almond Flour Trouble? A new study of over 7000 older Italians at high risk for heart disease compared a low fat diet with a Mediterranean diet containing varying amounts of virgin and extra virgin olive oil. They followed the participants for nearly five years to see to what extent these different diets prevented cardiovascular “events,” such as strokes, heart attacks, heart related deaths, as well as cancer related deaths, and deaths from other causes. None of the participants had existing heart disease but all were at high risk because they either were diabetic or had at least three of these risk factors: They smoked, had high blood pressure, high LDL (“bad” cholesterol), low HDL (“good” cholesterol), were overweight or obese, or had a family history of early onset heart disease. Earlier studies showed that olive oil reduces cardiovascular disease in Spaniards and Italian women. 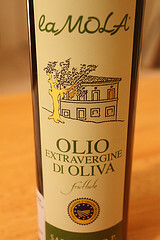 A large meta-analysis found that the more olive oil people consumed, the less likely they were to have a stroke. This new study was unique because it looked at the type of olive oil used (e.g., virgin or extra virgin – the latter being a better quality oil) and as well looked closely at the effect of how much olive oil was consumed. They also examined what eating olives might add to the picture. The study corrected for the fact that those consuming the most olive oil also tended to be better educated, eat less red meat and dairy, and drink less alcohol. This was done to make sure that any benefits seen were related to the amount of olive oil in the diet, rather than from other factors that also tend to promote health. In the end, the more extra virgin olive oil a participant consumed, the lower that person’s risk of cardiovascular “events.” In fact, for each extra tablespoon of extra virgin olive oil above the baseline amount (about 1 tablespoon a day), the risk of dying from heart disease dropped by 10-15%. The risk of having a heart attack also dropped somewhat but not greatly. Those consuming lots of olive oil and eating olives reduced their risk of unwanted heart problems yet more. While olive oil and olives definitely protect against heart issues, the amount of olive oil consumed did not seem to affect the likelihood of death from other causes nor did it reduce the risk of dying from cancer. However, the researchers pointed out that other studies have shown a positive effect in certain specific cancers, such as breast and respiratory tract cancers and that correlation might still hold. Finally, while extra virgin olive oil had a very positive effect on heart health, it did not have a big effect on stroke risk in this study. Those on the low fat diet did not do well. Their risk of negative happenings actually increased by 9% instead. Those consuming lower quality virgin olive oil did not gain or lose when it came to the risk of heart disease and heart disease deaths. To benefit according to this study you need to be using a good quality extra virgin olive oil. One reason olive oil is so healthy is because its fats are resistant to rancidity. In addition olive oil is rich in antioxidants and other anti-inflammatory compounds. Another study just published found that olive oil is healthy in part because the body combines the oil’s monounsaturated fatty acids with vegetable nitrites (vegetables such as beets, cabbage, carrots, celery, radishes and spinach are rich in nitrites) and nitrates (green leafy vegetables such as Swiss chard, oak leaf lettuce, beet greens, basil, spring greens, butter leaf lettuce, cilantro, and arugula are good sources of beneficial nitrates) to form protective nitro-fatty acids. The nitro-fatty acids that form when we eat vegetables and olive oil, have a blood pressure lowering effect. This entry was posted in antioxidants, Food and tagged all cause mortality, breast cancer, cancer deaths, cardiovascular disease, diabetes, extra virgin olive oil, heart attacks, heart disease, heart health, hypertension, leafy greens, low fat diet, nitro fatty acids, olives, respiratory tract cancer, stroke, Virgin olive oil. Bookmark the permalink.